This green Coca Cola sign was done in the style of many other signs. But, each of these signs has different wording and some can be more rare than others based on what they say. 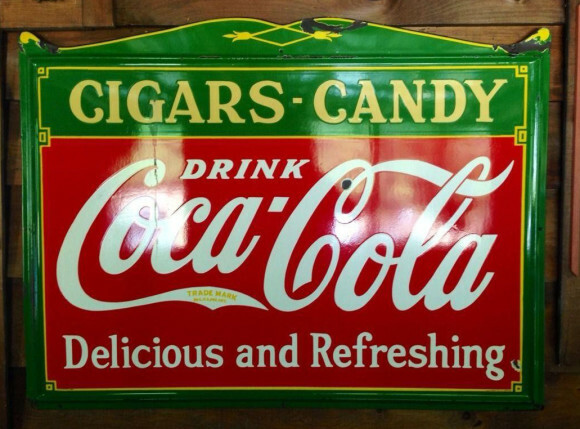 This signs text reads “Cigars – Candy, Drink Coca-Cola, Delicious and Refreshing.” The sign is red and green and measures 46″ by 60″.